Now I have to admit I am one of the only people that doesn't remember Weebles, but I do always find myself singing the catchy tune thanks to the adverts on the TV. The kids know the Weebledown Farm advert pretty well so were very happy to see Fluffy the Sheep appear in the house this week. 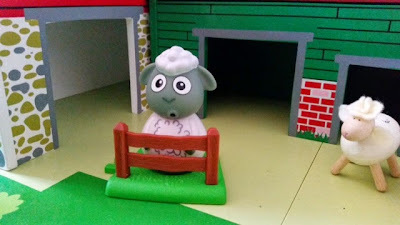 Each cute character comes complete with a grass base and fence for them which can be connected together when you buy multiple characters. The character wobbles around either on their base or any other surface and the kids love testing how easy it is to make them fall down! 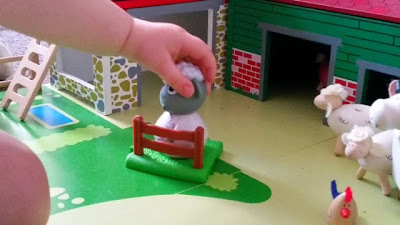 The characters are well made and feel really durable, perfect for toddlers! My kids love the facial expression on Fluffy. The characters retail at £4.99 each which isn't a bad price. The Weebledown Farm Mill & Barn can be bought for £29.99 and the Wobbily Tractor with Farmer Barleymow is £19.99. The whole range looks like lots of fun. I think Gracie and Zach would especially love the tractor with Farmer Barleymow. I do think it is limited what you can do with just one character and would recommend that they are bought together either with the farm mill or tractor so they can really be enjoyed. 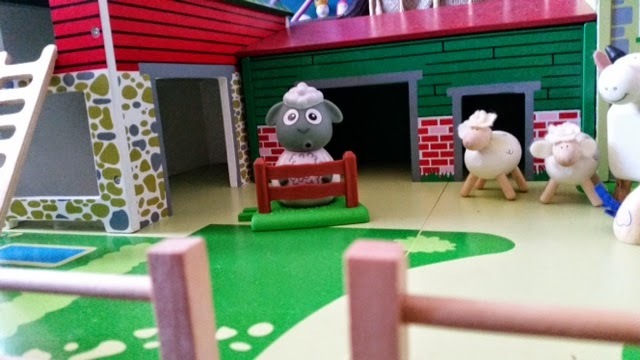 Our sheep is happy enough playing with his wooden friends in our farm though as you can see below! 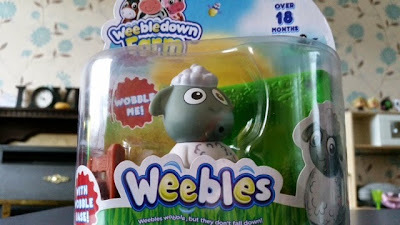 You can see the whole Weebledown Farm range online here.